The New Ship is located on the Quay in Waterford. It is an elegant restaurant and is an ideal location to relax and enjoy a great meal. 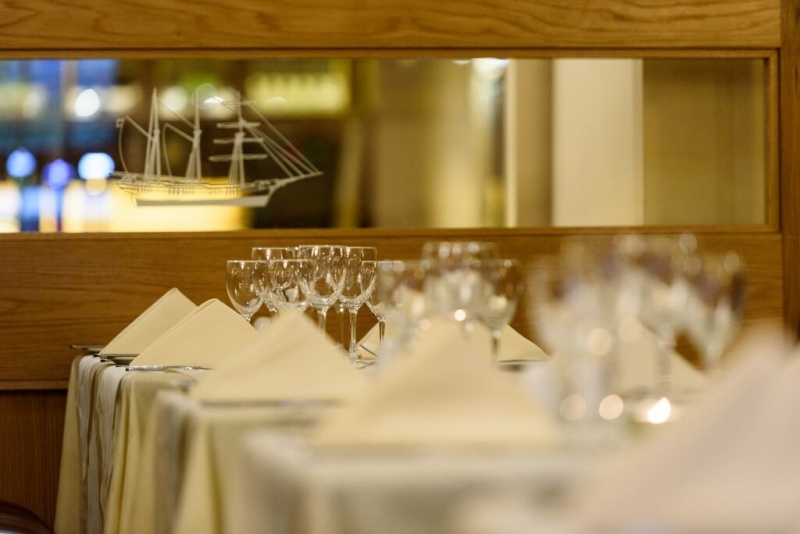 Our restaurant offers great cuisine with an extensive menu filled with locally sourced produce and a wine list to match. The restaurant is open daily for breakfast from 7.30am to 10am and serves continental and full Irish breakfast. 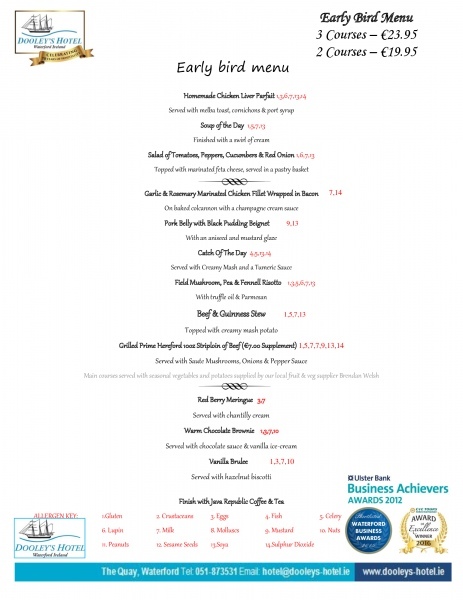 A La Carte Menu is served from 18.00 to 21.30 and is a popular choice for residents and non residents alike. To avoid disappointment we strongly recommend that you make a reservation in advance of arrival. Our Early Bird menu is served 7 days per week from 6pm - 7pm why not avail if going to the theatre or cinema.